Israeli occupation forces stormed the village of Deir Nidham, northwest of Ramallah, this morning and closed its main entrances. Ahmed Al-Tamimi, head of Deir Nidham’s village council, told the news agency that the occupation forces stormed the area in the morning and closed its main entrances, imposing a siege on it. Al-Tamimi explained that in the meantime the occupation forces besieged the school in order to threaten students and intimidate them with detention if they throw stones. The head of Deir Nidham’s village council confirmed that two weeks ago, the Israeli occupation forces continued to storm the village on a daily basis under the pretext that the children were throwing stones at settlers. Mexican Foreign Minister Luis Figari Casso has contacted Israel’s ambassador to Mexico, Yoni Peled, and told him that Mexico has decided to change its voting strategy in all the upcoming voting procedures related to the Palestinian-Israeli conflict, and will turn from voting in favor of Palestine to abstaining from doing so, or by voting to Israel, the Israeli news paper, Yedioth Ahronoth reported. There are 10 out of 20 pro-Palestinian and anti-Israeli resolutions which are proposed annually at the UN, on the eve of November 29, according to the PNN. In the past, Mexico belonged to the Non-Aligned Movement (NAM) and therefore voted as the movement, against Israel. Since April, Israel has observed a consistent change in Mexico’s voting patterns. In April, Mexico abstained from voting against Israel for a UNESCO decision regarding Israel’s status in al-Haram al-Sharif, in Jerusalem. Also, in the WHO vote on health in the Palestine, Mexico changed from voting against Israel to abstaining, and, last week, Mexico voted for Israel during a debate at UNESCO. 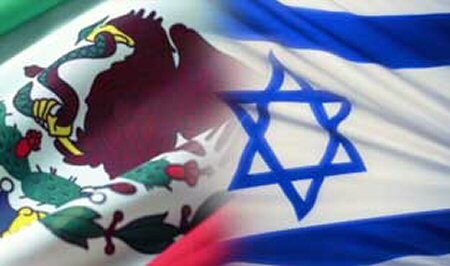 Netanyahu’s successful visit to Mexico, last September, and the Israeli Aid delegation sent there, during its earthquake, has reportedly helped to warm relations between the two countries. Israeli authorities are reportedly planning to evacuate some 200 Palestinians from their homes and agricultural lands in the Jordan Valley are of the northern occupied West Bank, according to local sources. Member of the Jordan Valley municipal council Mahdi Daraghmeh told Ma’an News Agency, on Friday, that Israeli forces delivered demolition and evacuation notices to 30 Palestinian families in the Ein al-Hilweh and Umm al-Jamal villages in the northern Jordan Valley on Thursday, Nov. 9th. The notices, which Daraghmeh said were dated Nov. 1st, gave the residents eight days — until Nov. 9th — to evacuate some 60 homes and structures voluntarily. Residents are expecting Israeli forces to arrive to the area to demolish the structures anytime now, Daraghmeh said. He added that the notices were signed by an Israeli army chief in the West Bank, and that the notices mentioned that the lands would be used for illegal Israeli settlement construction. Earlier on Thursday, reports emerged on plans announced by the Israeli Minister of Housing to increase settlement construction in the Jordan Valley and double the number of settlers residing the area from 6,000 to 12,000. 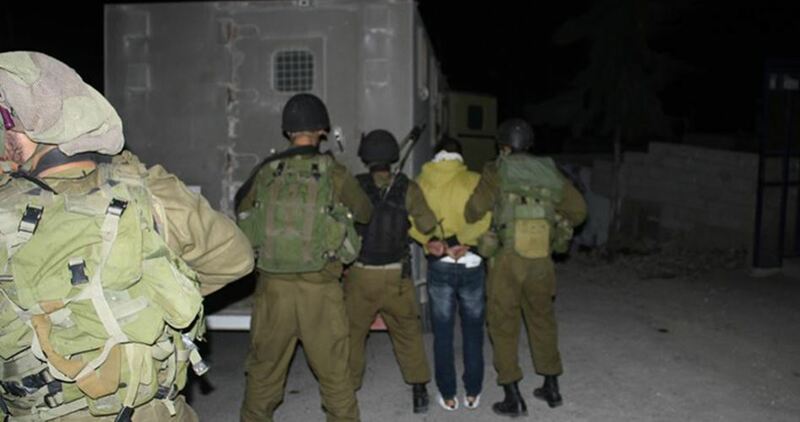 Several Palestinians were kidnapped by the Israeli occupation forces (IOF) in abduction sweeps rocking the West Bank at daybreak Monday. Israeli army troops rolled into Tekou’ town in Bethlehem and wreaked havoc on civilian homes before kidnapping two Palestinian teenagers. The occupation soldiers further ravaged civilian homes in Bethlehem’s northwestern town of al-Walja and kidnapped the youngster Husam Abu Khalifa, aged 17. At the same time, clashes burst out in Husan village, west of Bethlehem, where the IOF aggressively attacked Palestinian anti-occupation youth. The latter responded by hurling stones on the occupation patrols. Meanwhile, dozens of Israeli soldiers showed up in Jenin’s southern town of Arraba, in the northern occupied West Bank, and kidnapped the Islamic Jihad leader Tareq Kaadan from his family home. Kaadan was released just a few months ago from Israeli jails, where he had spent a total of 15 years, mostly in administrative detention, with neither charge nor trial. Israel’s Internal Security Minister Gilad Erdan has sought to exclude Palestinian prisoners from an order to increase the living area of inmates, ruling that the detainees be rather locked up in underequipped tents. The proposal comes in response to a court rule handed down by Israel’s High Court in mid-June, and which pronounced that overcrowded Israeli prisons are not fit for human habitation. The court rule was issued following appeals by human rights groups demanding that prisoners be provided four square meters for each one of them. The Court said that overcrowded prison cells must be enlarged or else the Israeli authorities must consider reducing the number of inmates. In European countries, Kenya, Senegal, and Mauritius, the average space is much higher, according to a report by Haaretz daily. According to data by the Prisoners’ and Ex-Prisoners’ Committee, nearly 6,500 Palestinians, among them 57 women and 300 children, are locked up in Israeli jails. 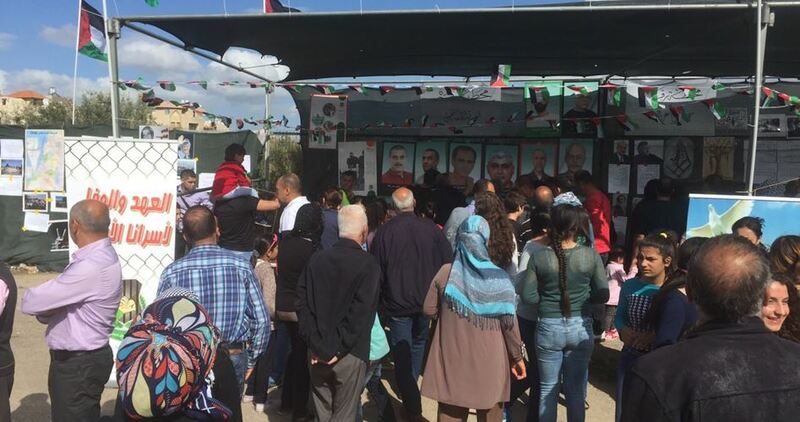 Israeli authorities intend to demolish a whole neighborhood in Kafr Aqeb town, north of Occupied Jerusalem, where 64,000 Palestinians, who hold the Israeli citizenship, live. 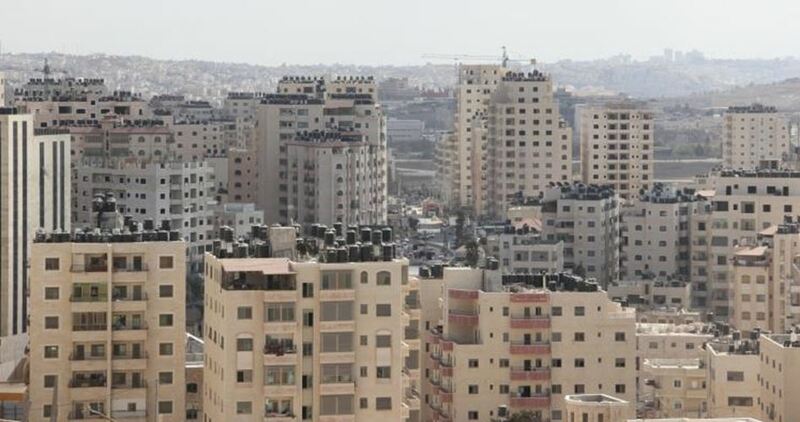 Israeli authorities unveiled a secret plan, tabled by mayor of Jerusalem Nir Barkat, aimed at demolishing six residential towers, each of which consists of 7 floors, in the town which is located outside the Separation Wall. Hundreds of Palestinian residents in the area will be evacuated from their homes, according to Israeli TV Channel Kan. The channel confirmed that the demolition will be completed with disregard to the expected implications following the demolition. The channel pointed out that explosives would be used to raze the buildings, adding that a mosque in the area could collapse as a result of the powerful blasts. The municipality claims that the demolition will be conducted at the pretext of unlicensed construction. Israeli Occupation Authorities (IOA) on Monday cancelled the visit for families of Gazan prisoners in Nafha Israeli jail, which was scheduled on Monday, November 13. 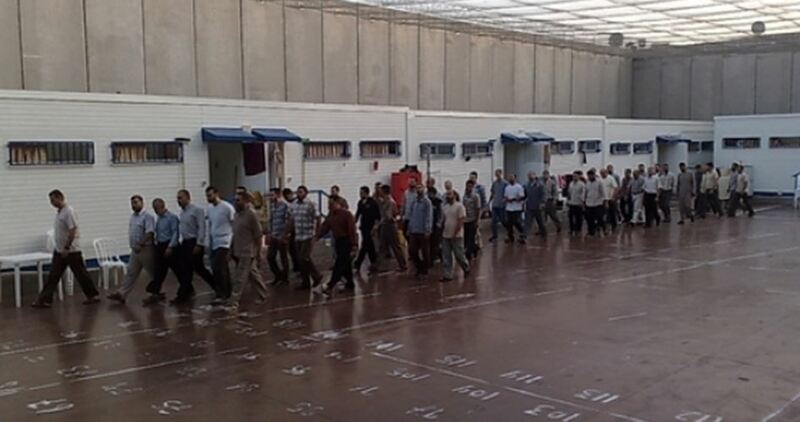 The spokeswoman of the International Committee of the Red Cross, Suhair Zaqout, told the PIC reporter that the visit cancellation decision was allegedly made because of renovation works inside the jail and in the visitation place. The Assad regime’s campaign of sieges in many areas across Syria constitutes crimes against humanity, said Amnesty International in a comprehensive new report published on Monday. The report, titled “we leave or we die”: Forced displacement under Syria’s ‘reconciliation’ agreements, indicate the Assad regime has increasingly relied on such deals as a strategy to force the opposition to surrender. The human rights watchdog’s report examines four “reconciliation” deals between the Assad regime and the opposition leading to the displacement of tens of thousands of civilians after years-long sieges and indiscriminate bombardment. “The government’s campaign of sieges, unlawful killings and forced displacement, which has uprooted thousands of civilians and forced them to live in dire conditions, constitutes crimes against humanity,” Amnesty said. The report covers 10 Assad regime attacks on civilian neighborhoods in Aleppo city between July and December 2016. The organization’s analysis of satellite imagery have shown how the attacks were carried out far from the front lines and with no apparent military objectives close by, destroying hundreds of structures including residential buildings, a market and hospitals. The report is based on interviews with 134 people conducted between April and September 2017, including displaced residents who lived through sieges and attacks, humanitarian workers and experts, journalists and UN officials. Amnesty concluded its report by calling on the UN Security Council to adopt measures to enforce the humanitarian and human rights-related provisions of Resolutions 2139 and 2165 by imposing targeted sanctions against those responsible for war crimes and crimes against humanity, by imposing an arms embargo on the Syrian government, and by referring the situation in Syria to the Prosecutor of the International Criminal Court. 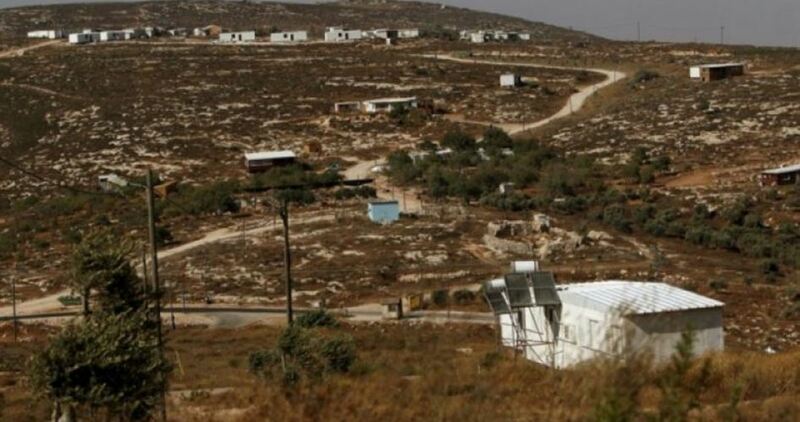 Haaretz newspaper on Monday revealed that World Zionist Organization – settlement division gave 50 dunums of Palestinian lands in Bethlehem to settlers of Ma’aleh Rehavam settlement outpost to the south of the city. The five dunums were given to the illegal outpost of Ma’aleh Rehavam in 2002 by the WZO settlement division even though the division had no rights to the land, according to newly discovered documents, the newspaper said. 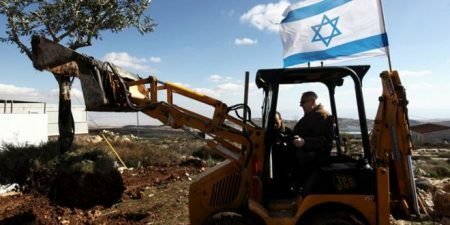 The newspaper stated that settlers use the land in cultivation despite the fact that part of the targeted land is considered as a nature reserve agreed upon in the Oslo Accords which stipulates that both Israel and the Palestinian Authority must approve any changes made in the reserve.